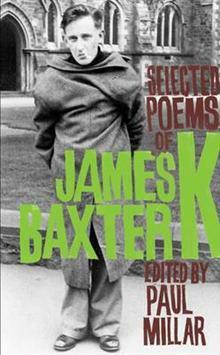 Selected Poems of James K. Baxter, edited by Paul Millar (Auckland University Press, 2010) $39.99, 297 pp. James K. Baxter: Poems, selected and introduced by Sam Hunt (Auckland University Press, 2009), $29.99, 105 pp. The Double Rainbow: James K. Baxter, Ngāti Hau and the Jerusalem Commune, by John Newton (Victoria University Press, 2009) $40.00, 224 pp. On the cover of Paul Millar’s Selected Poems of James K. Baxter, the eponymous poet has been photographed as a man in a straitjacket: symbolically swaddled, restrained and repressed in his back-to-front overcoat — a rebel with a cause. From his beginnings as the infant prodigy, absorbing the recited lines of Robert Burns’s ‘Tam O’ Shanter’[i] on his father’s knee, to the encyclopaedic poetry graphomania of his youth, to the soliloquising hairy phenomenon of the Jerusalem commune years, James K. Baxter (1926–1972) was always one who refused to pull his head in. Born into a family of Scottish Calvinist dissenters settled in the Otago hinterland, and raised within a tradition of pacifism, socialism, and free-ranging intellectual enquiry, it was perhaps inevitable that the role of non-conformist — as gadfly, guru, prophet and martyr, of sorts — was one that the precocious Baxter would play to the hilt. (‘Better to err with Burns and Byron than fall in line with Brasch’, the teenage Baxter wrote to his pen-pal Noel Ginn. [ii]) But grandstanding and swashbuckling were merely aspects of Baxter’s contrarian methodology, and in John Newton’s work of social history — built on a diligent gathering of oral histories — Newton explores, and to an extent explains, how the poet’s adolescent alienation, suburban outrages and establishment antagonisms enabled him to move towards a pioneering radical activism that in turn helped to herald a new climate, a new populist mood, a sense of revolution. 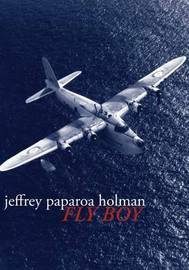 I first heard rather than read Mark Young’s poetry in the 1960s at Barry Lett Galleries and at the Wynyard Tavern in Auckland, where I was a student and had aspirations to be a poet. What was immediately striking about his poems then, and remains so now, was a quality of displacement. There seemed to be three sources of this displacement. The voice I heard (and the texts I later read) had a deliberating, impersonal quality, in marked (so to speak) contrast to the jongleur or troubadour voice of Dave Mitchell, who often performed with Young. Then, the language itself, in its internal (pronouns, subject/object relations, point-of-view) and external (line endings and enjambement, syllabic weight, visual scoring) exercised a persistently sceptical and frugal sense of affect. And finally, the references, even when local in terms of a scenography, seemed most often to have been mediated by distant influences and references – LeRoi Jones (‘Gonna roll the bones’): Black / gamin / disdains all games / of chance, Robert Duncan (‘The Tigers’): Within the tiger / reels a turmoil / of desires, William Carlos Williams (‘The intention’) (i) The intention is / that I / refurbish / the room – French poets (Verlaine), artists (Magritte), and jazz musicians (most often Miles Davis). To these effects one might add Young’s enjoyment, and deployment, of arcane words and concepts; in one poem, whose title I will footnote because of its length, he riffs across the following: belvedere, syzygny, xiphoid, ylang ylang, widdershins, giaour, anthropophagi, lucubration, pleonastic, adespota – pretty much for the hell and pleasure of it (ii) However this, like a certain asperity in Young’s tone, is less a measure of displacement than a trace of aloof character, a kind of impersonal personality – a placement or presence marked by its adroit discretion. What this added up to could be described as negative romanticism: subjectivity identified by being uninterested in winning sympathy or affection; meaning declaring itself to be uninterested in conclusions, especially transcendent ones; a presence revealed in its preference for distorted mirror-images over face-to-face disclosure; an honest preference for sleight-of-hand over ‘honesty’; and, most importantly, the poet’s liking for fictions, unreliable science, a certain droll impassivity, a relish of coat-trailing narrative, a love of the playfully esoteric. A Long Girl Ago, by Johanna Aitchison (Victoria University Press), 2007, $25.00; Museum of Lost Days, by Raewyn Alexander (Earl of Seacliff Art Workshop), 2008, $15.00; Liquefaction, by Iain Britton (Interactive Press), 2009, AUS $25.00; Self-titled, by Tony Chad (HeadworX), 2006, $24.95; How to live by the sea, by Lynn Davidson (Victoria University Press), 2009, $25.00; Overnight Downpour, by Andrew Fagan (HeadworX) 2006, $19.99; Geography for the Lost, by Kapka Kassabova (Auckland University Press), 2007, $24.99; Etymology, by Bryan Walpert (Cinnamon Press), UK £7.99. T.S. Eliot described poetry as ‘the intolerable wrestle with words and meanings’, and words themselves as things that ‘slip, slide, perish, decay with imprecision’. Good poets are not so much punch-drunk on language as wary of it, like recovering alcoholics, and however chatty or conversational the voice of the poet, it is only ever offering a persona made of language, with claims of clarity, accessibility, or indeed hermeticism, just strategic devices. Contemporary poets strain their ears to catch the silences between ‘noise’ and bring us word of them — in the form of Chinese whispers, or Russian dolls, or Zen paradoxes, or Kiwi minimalism. Joanna Aitchison spent three years teaching in Japan, and some of her poems in A Long Girl Ago show how English-as-a-second-language speakers, tone-deaf to idiomatic subtleties, can twist and wrench her mother-tongue into a kind of karaoke, chanting odd cadences in a kind of sing-song, and thereby creating new meanings. These word-benders, with their ultra-groovy phrasemaking, gift her with pop imagery, often highly comic and colourful.